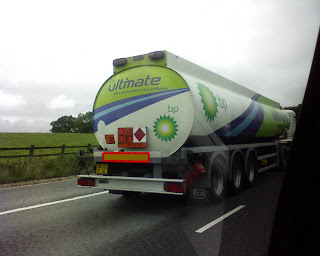 I snapped these photographs of a BP fuel tanker on a motorway near London. 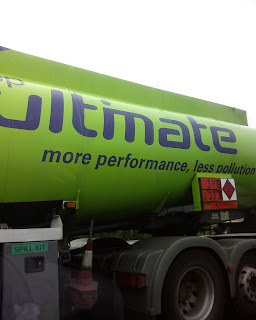 The company’s slogan reads: BP Ultimate: more performance, less pollution. They could not have come up with a more ironic tagline in light of one of the worst human-induced ecological disasters in history. 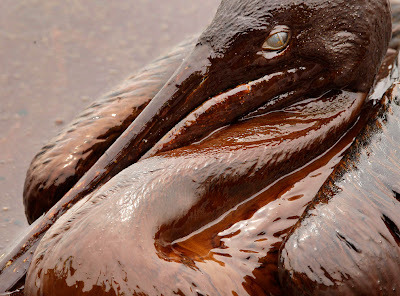 Perhaps it would be a good idea for BP to give its fleet of tankers a fresh coat of paint more in line with reality. 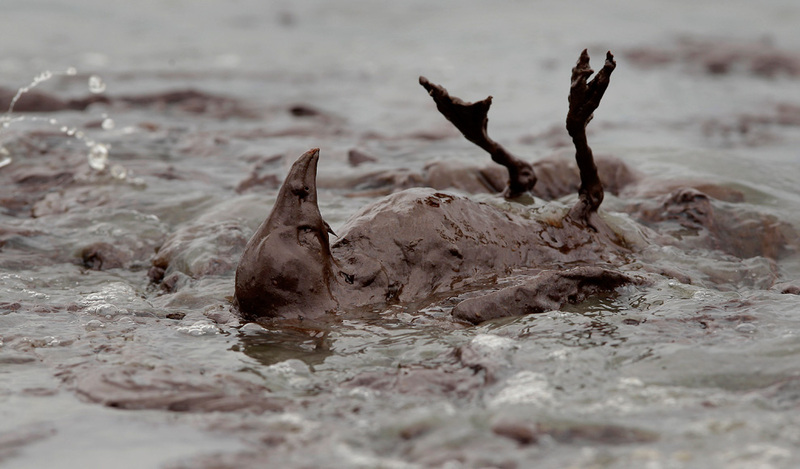 Thanks, BP. We owe you one. 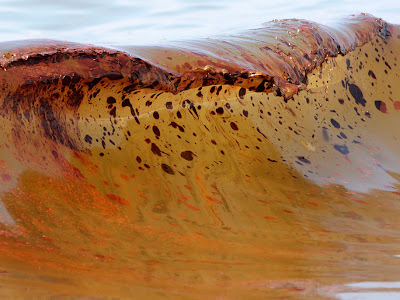 Image credit(s): Oil-spotted wave in Alabama; Seabirds caught in the oil slick on a beach on Louisiana's East Grand Terre Island.